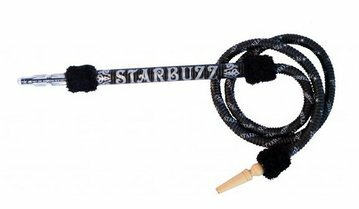 The Royal Starbuzz Egyptian Hookah Hose is amazingly stylish with faux fur accents and the beloved Starbuzz name decoratively placed on the long, sturdy hookah hose handle. 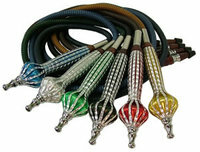 This hookah hose is easy to maintain with ease as the mouth tip is made of plastic and has a water resistant coating to help ensure a long lasting hookah hose. The wide body of this hose makes it exceptionally easy to smoke with and is sure to give you an excellent hookah session!